Is Donald Trump’s campaign hurting his hotel chain? 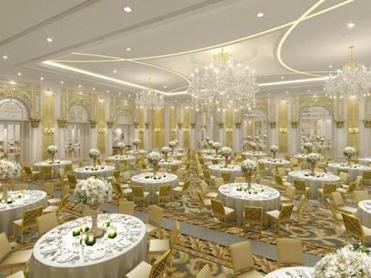 A rendering of the new Trump hotel’s lobby in Washington, D.C. The grand hotel soon to open in Washington’s historic 1899 Old Post Office Pavilion boasts the largest suites in the country, and the biggest ballroom in the city — not to mention a stunning lobby adorned with crystal chandeliers. It’s an architectural grand dame worthy of heads of state, not just moneyed tourists. But for all the pluses, it’s very likely some politically opinionated travelers will do their best to avoid the latest Trump International Hotel when it opens its doors on Sept. 12. When it comes to Donald Trump’s eponymous hotels, the name brand can work both ways these days. Although he expects the hotel — the result of a $200 million transformation of the old post office — to be a welcome asset to the capital’s lodging options, Ezon said the beauty of the building won’t matter. 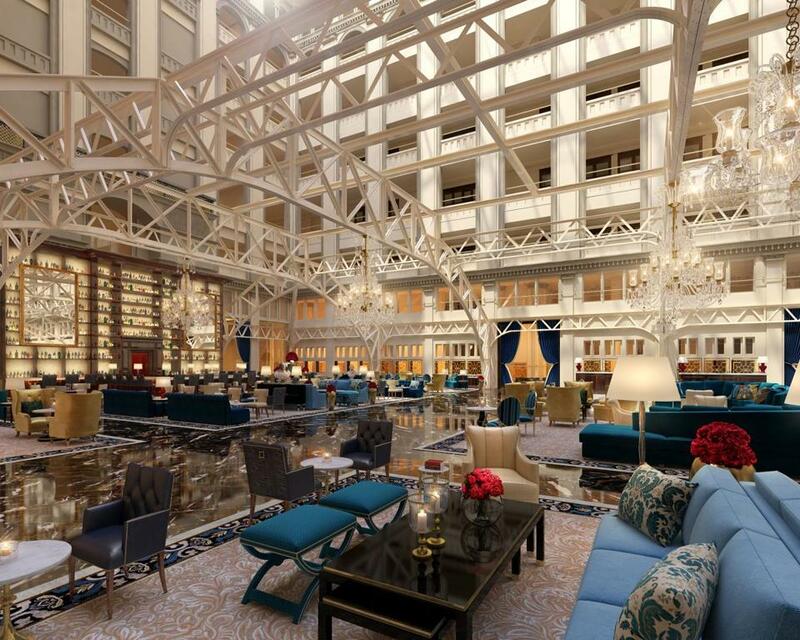 Take a look at the renderings for the stunning new Trump hotel that will soon open in Washington, D.C.
His company, which books luxury package vacations, has seen groups pull out of other Trump hotels as a result of the Republican candidate’s tumultuous campaign. Surveys and booking sites show that many consumers are avoiding hotels in Trump’s portfolio. The booking site Hipmunk reported that its reservations for Trump hotels are down nearly 60 percent over this time last year. It’s difficult to imagine ardent Democrats booking a romantic couple’s massage at the Spa by Ivanka Trump, which will be located in the D.C. location, or shelling out major money for a night in a basic room. Rates for the hotel’s opening start at $950 a night. But Saglie added that the campaign could benefit Trump’s chain by bolstering brand awareness. While detractors may eschew the hotels, Trump supporters could seek out their candidate’s hotels as a show of support. Also working in Trump’s favor is the strong reputation of his four- and five-star properties. Over the summer, Trump Hotels scored high marks in Travel + Leisure magazine’s annual World’s Best Awards. The Chicago outpost earned top honors as that city’s best hotel, and the Trump International Hotel & Tower ranked number four in Manhattan. The company currently operates nine hotels in the United States and abroad. “Whatever you think of the candidate, his hotels are very nice,” said Kelsey Blodget, editorial director of the hotel review website Oyster.com. 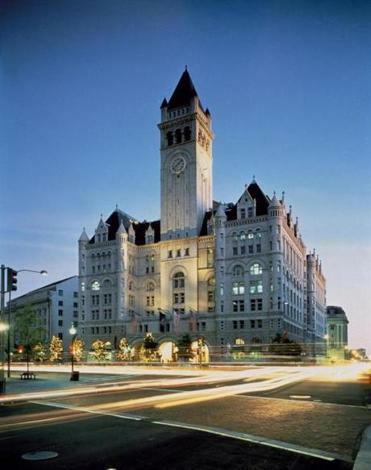 A new Trump hotel will soon open at Washington’s historic 1899 Old Post Office Pavilion. Because Trump’s hotel group is part of a privately held international conglomerate, the company is not obligated to disclose its finances to the public. At a travel industry conference last month in Las Vegas, Mickael Damelincourt, managing director of the Trump International Washington location, talked up the beauty and luxury of the hotel, and dismissed claims that the brand is suffering as a result of the presidential race. No matter the booking numbers, the Washington hotel has already been mired in controversy. New York celebrity chef Geoffrey Zakarian and Washington celebrity chef José Andrés both pulled out of deals to open restaurants in the hotel in July 2015 after the hotelier-turned-candidate made disparaging comments about immigrants. Trump filed breach of contract lawsuits against both chefs. Regardless of dining options, a poll from travel trend tracking website Skift found many respondents hesitant to stay in a Trump property. In the survey of more than 2,000 Americans, 56.9 percent of respondents said they were less likely to stay in a Trump hotel because of his campaign. Only 23.4 percent said they were more likely, and almost 20 percent said they were unaware that Trump had hotels. Women were less likely to stay in a Trump Hotel than men. Those most likely to stay in a Trump Hotel are over 65, from a rural community in the South, or earn between $50,000 and $75,000. Least likely to stay in a Trump hotel are travelers between 25 and 34. People in the top three income tiers of the study said they were less likely to stay at a Trump hotel. That’s troublesome news for a luxury hotel chain. Trump Hotels will be on the syllabus for Swathi Ravichandran’s hospitality management classes this fall at Kent State University. Not only will she talk to students about how the hotel brand relates to the candidate, but also their futures if they decide to work at a Trump hotel. So it appears voters will be making two choices this fall: Trump for president, and Trump for lodging. Stay tuned until November for the results of both.